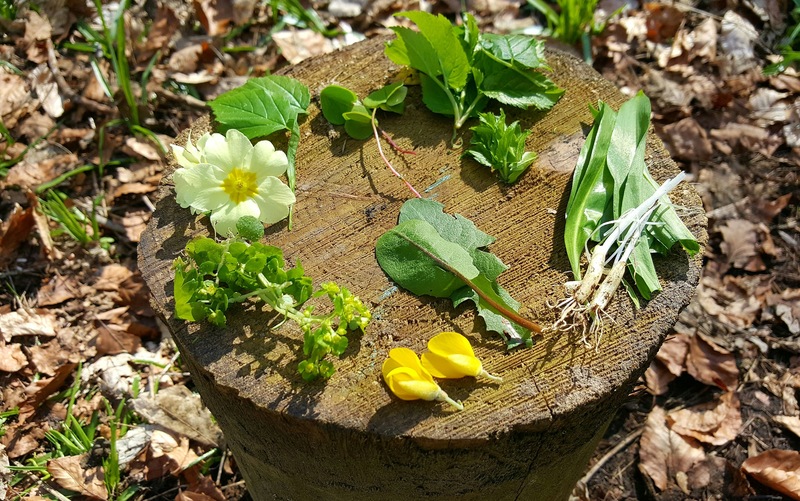 At this time of year there are numerous wild edibles around to supplement your diet. 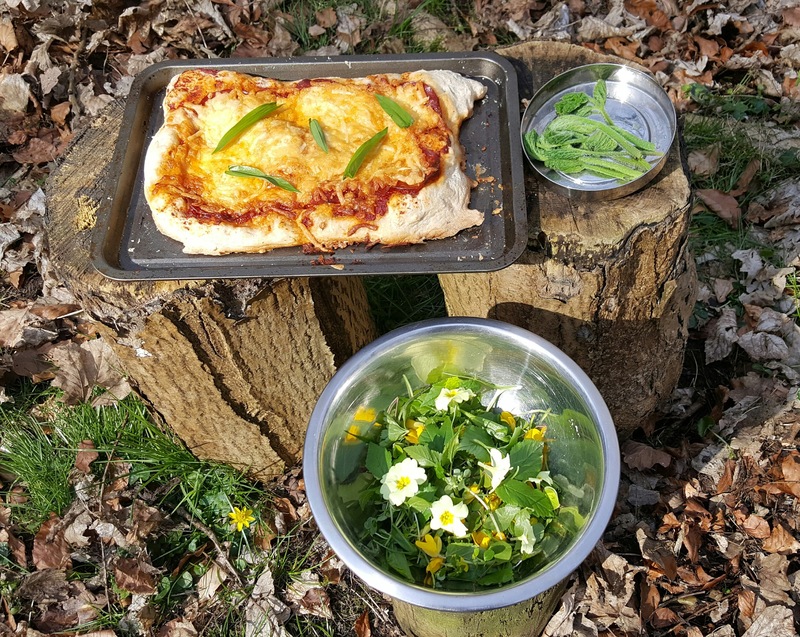 When out in the woods there's no excuse not to dine well and we at buzzard always manage to eat superbly thanks to Davy our resident wood chef. And the resulting feast..if you eat poorly in the woods you're doing it wrong. 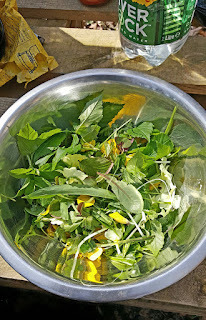 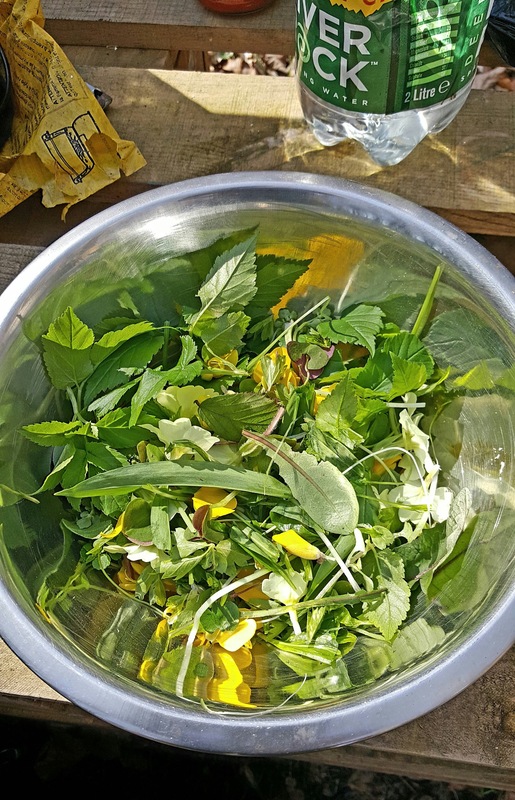 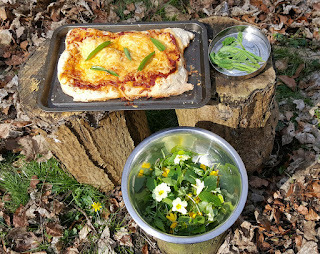 Woods cooked pizza, dressed mixed wild salad and blanched hogweed shoots.